A nationwide collaboration led by researchers from Duke University has secured funding to produce an organized, searchable, extensible repository of data on polymer nanocomposites and structural metamaterials complete with a suite of analytical and predictive tools to help spur the discovery of new materials. Polymer nanocomposites are composed of nanoparticles with at least one dimension smaller than 100 nanometers—such as carbon nanotubes—dispersed in a polymer matrix. Examples of such materials can be found in a myriad of applications ranging from medicine to energy to structural components in automobiles or sports equipment. Metamaterials are synthetic materials engineered to have counter-intuitive properties through unique structural geometry rather than chemical properties. For example, with the right combination of structural features, a material could have an inverted Poisson’s ratio, meaning rather than getting thinner as it is stretched, it gets thicker instead. The project is funded through a five-year, $5 million grant from the National Science Foundation’s Cyber-infrastructure for Sustained Scientific Innovation program, and links researchers from Duke, the California Institute of Technology, Northwestern University, Rensselaer Polytechnic Institute, and the University of Vermont. Brinson is, and she’s doing something about it. Her goal is to build a platform to house and use data in a strategic manner. 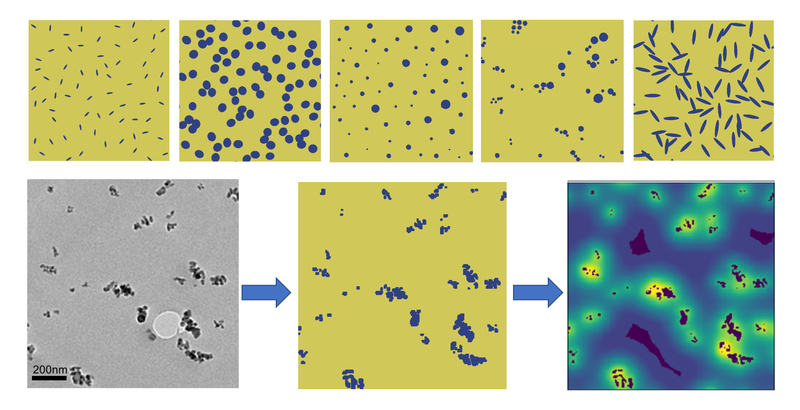 Instead of producing a list of papers, the same keyword search in the designed framework—NanoMine for nanocomposites and MetaMine for metamaterials—will produce a plot of relevant data compared across different papers. The data can be further refined and exported, helping to benchmark a researcher’s own data with other published literature. This access to actual data from multiple sources simultaneously will allow researchers to find regimes and conditions where materials exhibit desired properties. In addition to the rigorous organization of and access to data, the platform will also host a suite of analytical tools and simulation capabilities. 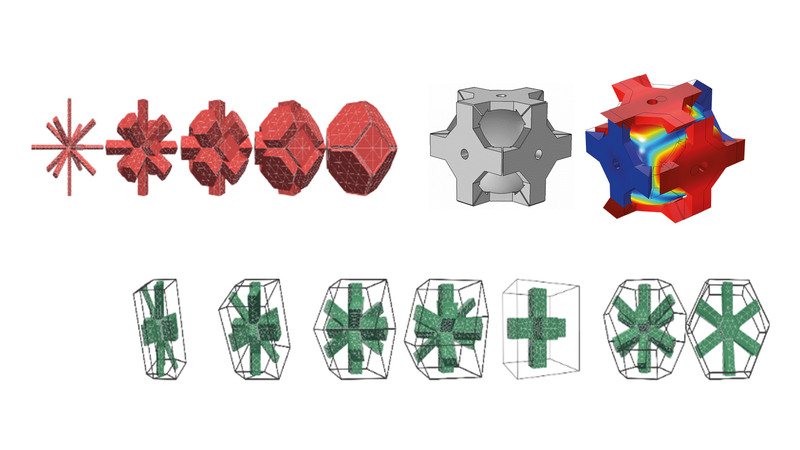 Application of machine learning algorithms on the array of data will enable researchers to deepen fundamental mechanistic understanding and push toward material design. The ultimate goal is to be able to request a material with a specific set of properties and have the suite of tools provide design scenarios for material composition, structure and processing to realize it. As Brinson says, it’s a hard problem—but it’s one she already has experience solving. For the past five years, Brinson and her colleagues have been building the framework for the NanoMine platform for polymer nanocomposites. The new project will build out that infrastructure and demonstrate the extensibility of their approach to other classes of materials through the creation of MetaMine. Joining Brinson in her effort is Duke colleague Cynthia Rudin, associate professor of electrical and computer engineering and computer science, who will create machine learning algorithms to determine which input parameters are influencing the material properties of interest. Collaborating on machine learning is Wei Chen, the Wilson-Cook Professor in Engineering Design at Northwestern University, who also specializes in computationally describing material structures and properties. Deborah McGuinness, the Tetherless World Senior Constellation Professor at Rensselaer Polytechnic Institute, will build the ontological classification systems and the infrastructure behind them, allowing different types of queries and tools to be built more readily into the platform. Linda Schadler, now dean of the College of Engineering and Mathematical Sciences at the University of Vermont, will conduct targeted experiments to fill gaps in the literature to help the machine learning algorithms operate more efficiently. And for the expertise on mechanical metamaterials themselves, Brinson will turn to Chiara Daraio, professor of mechanical engineering and applied science at the California Institute of Technology.